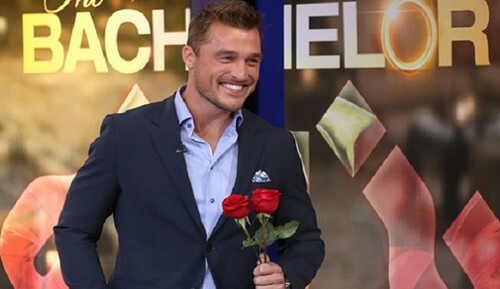 The Bachelor spoilers for 2015 tease that Season 19 Chris Soules of the reality TV dating show will kick off with a three hour premiere on ABC on Monday January 5. Soon after Andi Dorfman’s season of The Bachelorette came to a close in 2014, rumors began flying around that fan-favorite Chris Soules would be the 2015 Bachelor – and a few months ago ABC confirmed that was the case. Episode 1 of The Bachelor will begin just like every other season before it – with a night of awkward introductions that are nearly painful to watch, and have fans at home cringing for the women stepping out of the limos to meet Chris Soules. According to 2015 Bachelor spoilers, Chris Soules’ Bachelor premiere will be one of a kind though – because for the first time in ABC’s history “Farmer Chris” will be meeting 30 single ladies vying for his heart… and of course a ginormous engagement ring. With a whopping 30 bachelorettes, spoilers tease that the introductions will be broke up over the course of the three hour premiere, first fifteen girls will arrive, Chris will mingle with them, and then fifteen more girls will arrive. ABC has already released some Season 19 premiere spoilers and clips of embarrassing limo entrances. Between The Bachelor promos and blogger Reality Steve’s Episode 1 spoilers we know fans can expect to see some trademark cliché and corny entrances like a “Free Hugs” coupon, horrible singing, lucky pennies, and secret admirer letters. According to Bachelor announces Chris Harrison – one of the girls fans will want to keep their eyes on is Britt Nilsson, Harrison brags that she and Chris Soules have amazing chemistry. Bachelor 2015 spoilers for Season 19 also tease a few more new twists to Chris Soules’s stint as The Bachelor. Apparently, Chris and his ladies in waiting will spend much less time travelling abroad than previous seasons and more time in the United States. Also, according to Reality Steve’s Season 19 spoilers, The Bachelor producers have put Chris up in a house right next door to the ladies’ mansion – so we can probably expect lots of “super secret – yet managed to caught on video” late night meetings and crying bachelorettes banging on his door all hours of the night. So, are you excited for Season 19 of The Bachelor? Have you been checking out some of Chris Soules’s bachelorettes? Do you have a favorite yet? Let us know what you think in the comments below and don’t forget to check CDL tomorrow for more The Bachelor spoilers and news. The Bachelorette 2014 Chris Soules Chosen as The Bachelor 2015?